June 2014 Edition of Library Link! 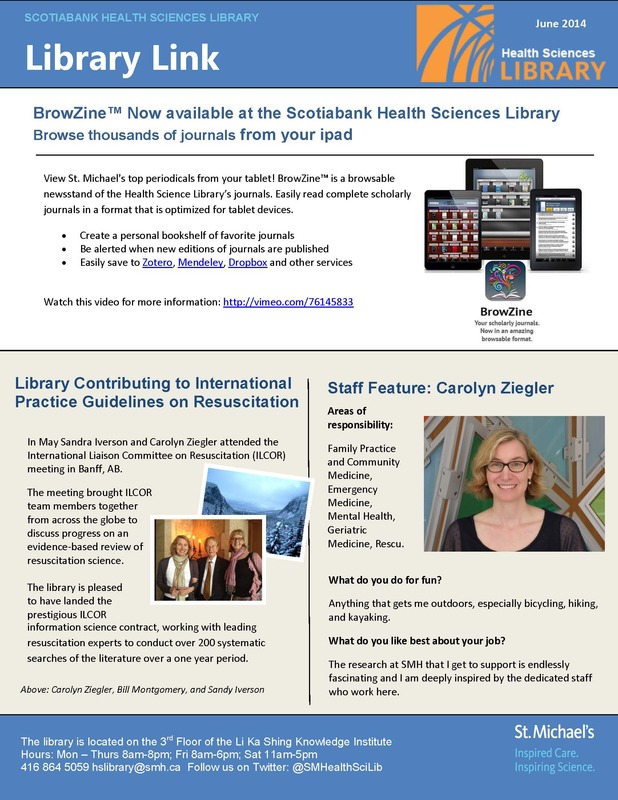 This month featuring a new periodical browsing app for SMH staff, a Banff adventure, and Information Specialist, Carolyn Ziegler. This entry was posted in Marketing, News and tagged Awareness, Newsletters by smhlibrary. Bookmark the permalink.